Before the 2017 season started for the New York Giants, it was expected that first-round pick Evan Engram would be a tantalizing threat over the middle of the field. The idea was quickly stifled by head coach Ben McAdoo, who often swung Engram out toward the boundaries and utilized him on crossing routes to compensate for his lack of creativity and courageous play calling. Now that I think about it, a hand-full of Engram’s touchdowns came on seam routes right up the middle of the field. These are two plays that show Engram’s prowess over the middle of the field. In 2017, Engram finished the year with 11 starts and 15 games played. He racked up 64 receptions on 115 target for 722 yards. He also had six scores. Those are solid numbers for the rookie tight end, despite dropping eleven balls over the course of the season. #Giants Evan Engram had 11 drops in 2017, the most by a TE since 2012. Engram was forced into a serious role on the offense after the injuries to Odell Beckham Jr., Brandon Marshall, and Sterling Shepard. The inadequacy of the offensive line didn’t help Eli Manning find his most lethal target either. Although the rookie right end was put in a bad spot, he was able to learn the ropes rather quickly and began to make plays early on in the season. He’s put on some weight since his inception in the NFL and has worked on his catching abilities. We should expect to see his drops see a drop (pun intended) and his impact on the game extend beyond just catching passes. Can Engram improve at blocking for the New York Giants? Engram will be able to provide more in terms of blocking after putting on a few extra pounds. A lot of his blocking issues also had to do with technique, which he refined over the offseason. He’s also begun working with backup quarterback Davis Webb to begin prepping for the future; his relationship and chemistry with Eli Manning is also very good. 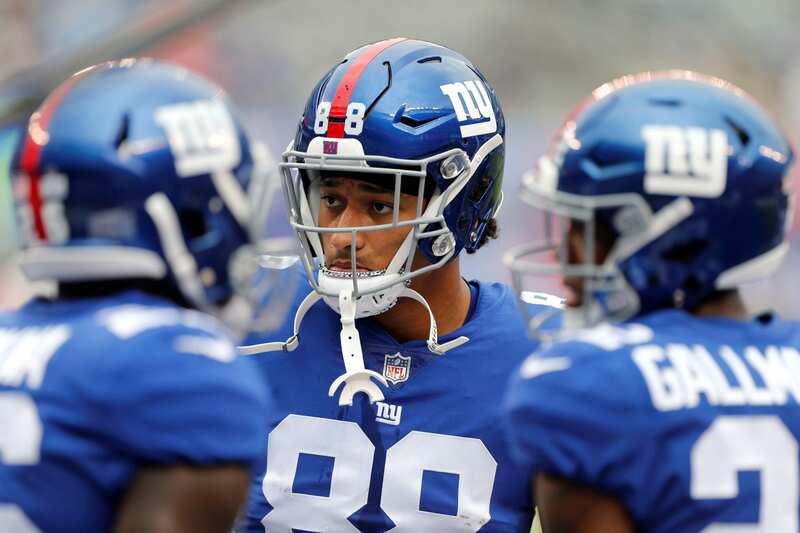 For #Giants Evan Engram to rank among the best TEs in the #NFL, he'll have to round out his skill set. Manning is a timing quarterback and relies heavily on his receivers to be in the right place at the right time. Engram will have more time to get to his spot with a rejuvenated offensive line and several weapons on the offensive side of the ball. Running back Saquon Barkley and the return of Beckham Jr. will open up the field and the seam for the sophomore tight end. Expect to see a lot more throws to the middle of the field, as Manning will look off the safety with a timely pump-fake to Beckham sprinting down the sideline.